The NPB Padel Circuit continues to move forward intensively. 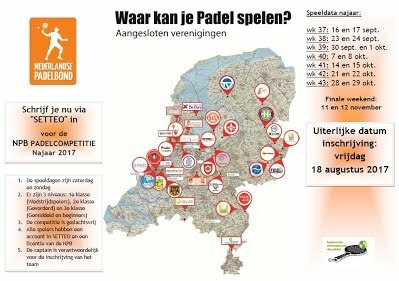 Nearly every week until the end of the year, Dutch padel players will compete around the country. The first challenge is at Tennis and PadelCentrum Daalmeer, in the northern city of Alkmaar on 11-13 August. The Noord-Hollanders are organizing their first official competition, the NPB Alkmaars Open, with great success. The tournament registers more than one hundred inscriptions in three categories: beginners, advanced and competition players. This is remarkably high for a new club. The championship includes most of the Top-20 Dutch padel players and some of the best Germans and Belgians. They participate in the Dutch NPB circuit because of the relatively high level of the competition. It will be a fun tournament to watch. Voorhout will host the NPB circuit for the II° NPB Toernooi Voorhout from 30th to 3rd Augusts 2017 at Tennis en Padel Oosthout. The tournament also combines the competition with a FIP100 championship for the International Padel Federation and it is likely to attract some high level Argentine and Spanish padel players. The following stop will be at Victoria, Rotterdam. 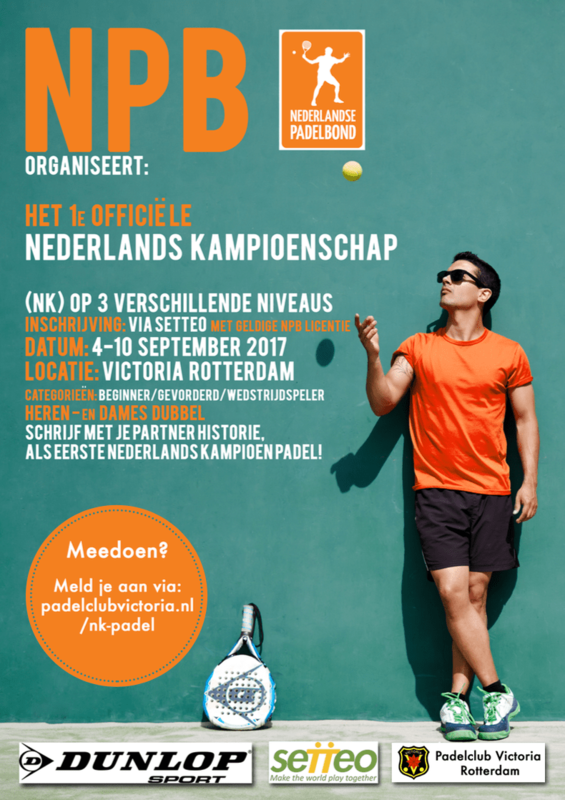 This classic club will host its first padel tournament in style by hosting the first NPB Dutch Padel Championship from 4th to 10th September. 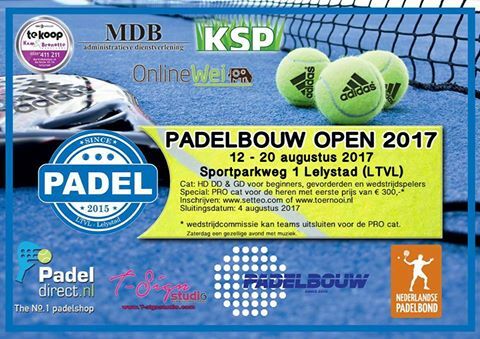 Surely the top Dutch Padel Players will participate in this tournament to claim the first Dutch Championship. Inscriptions are open here. Afterwards the circuit takes a break and the National Team Competition will take over every weekend starting on 16th September and finishing on 20th October. The final stop and closing tournament of 2017 will take place in Rijswijk. The indoor center La Playa will host the III° OPEN FIP LA PLAYA, for a FIP 500 tournament.